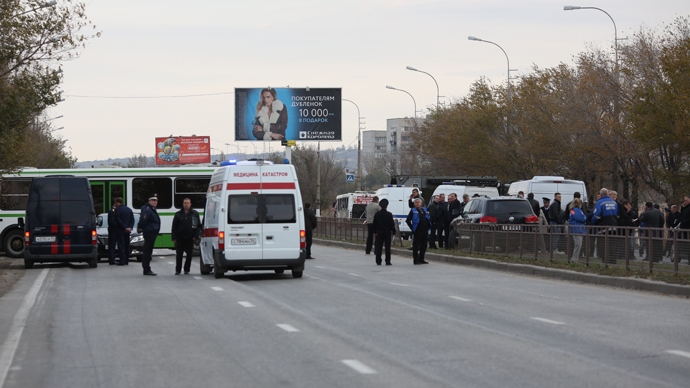 Russian security forces are looking for the organizers of a deadly suicide bombing on a bus in Volgograd that killed six people and injured 37 on Monday. The bomb, measured at about 500-600 grams of TNT equivalent, was detonated by 30-year-old suicide bomber Naida Asiyalova, a native of Russia’s southern republic of Dagestan, Investigative Committee spokesman Vladimir Markin said. 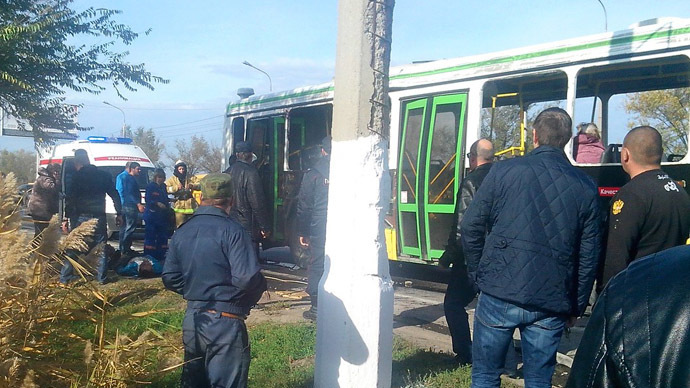 Asiyalova, reportedly the wife of Dmitry Sokolov, a militant from the Dagestani capital, Makhachkala, detonated the bomb, filled with metal objects and dowel pins, after getting off a Moscow-bound bus on the outskirts of Volgograd and returning to the city center, Markin said. “Having bought a ticket to Moscow, Asiyalova was going on a bus from Makhachkala and stopped in Volgograd. Her left hand was in plaster, and she was holding it with her right hand. Almost on the outskirts of the city, Asiyalova left the bus and returned to the Volgograd city center,” Markin said. The bomb could be have been triggered by a remote electronic detonator, a source told Itar-Tass. Asiyalova reportedly converted her husband to radical Islam and convinced him to join a terrorist group in Dagestan, officials say. 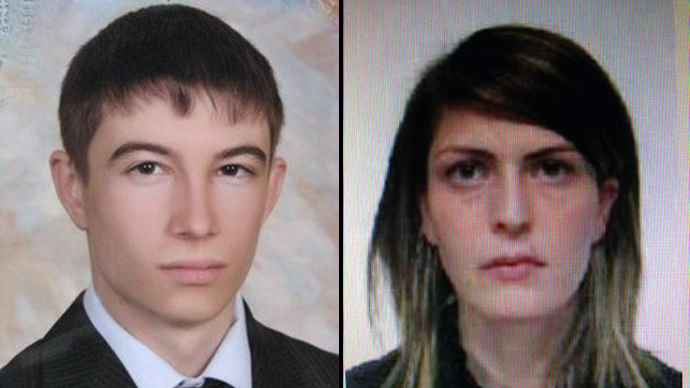 Sokolov, 21, is part of the Abdul-Jabar armed gang based in Makhachkala, the Interior Ministry said, and is wanted for organizing the Volgograd blast and other terrorist attacks. 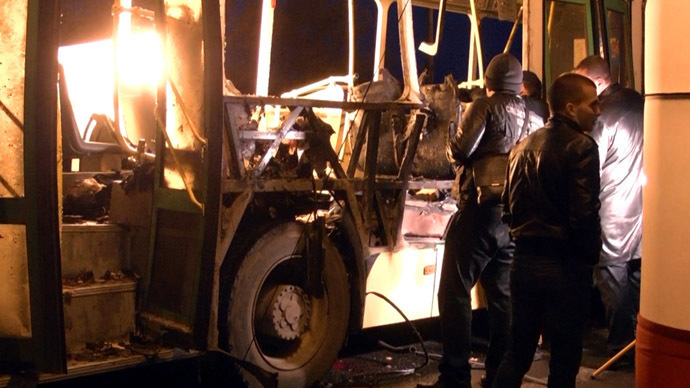 Three days of official mourning have been declared in the Volgograd region. All mass cultural events have been canceled, and authorities have asked local TV channels not to broadcast entertainment programs. Flags will be flown at half-mast during the mourning period. From early morning Tuesday, residents started bringing flowers to the scene where the blast took place. “Those who died were ordinary people, they were innocent. It’s a terrible tragedy. Anyone of us could be in their place. No one thought that anything of this kind could ever happen in our city,” Ivan Skorobogatov, a city resident, told Itar-Tass. Residents have begun donating blood for those wounded in the blast. MPs in Russia’s State Duma also held a minute of silence to honor the dead. Bomb technicians and criminal investigators are working at the scene to determine more details about the blast. Traffic has been partly halted in the area where the blast took place, and the scene of the attack remains cordoned off. Most of the bomb’s 30 injured victims are in a moderately serious state. Four people in critical condition have been flown to Moscow by helicopter. When Yudin and his friend got to the hospital, they saw “people taken to the hospital without their legs, arms, fingers, some had their faces burned,” he said. Yudin’s impressions could be attributable to shock, however, according to representatives of Hospital No. 15, who said that only one woman had to have her leg amputated.